You wake up as outrageous love. You realize that you are a unique node in the field of outrageous love which all of reality. You realize that outrageous love is the energy and Eros that moves the entire evolutionary process. 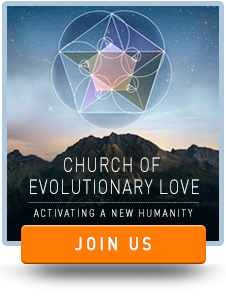 Evolution awakens to itself as outrageous love when you awaken to your true identity. To love means to be connected. To wake up is to awaken from the stupor of your feeling separate from all that is. You are able to locate yourself and feel held within the field of outrageous love intelligence which is all of reality. You wake up as an outrageous lover. You are an outrageous lover! You grow up as Outrageous Love. You grow up in your ability to feel into wider and wider circles of love. You begin by only being able to feel your own pain and joy. You then evolve your consciousness and are able to feel not only your pain and joy but that of your friends and family. You then further evolve to be able to feel the pain of your country, your people, your tribe. You then deepen into even wider and wider circles of pain and joy. You are able to feel the pain and joy of all human beings. Ultimately you grow up to what we call cosmocentric consciousness. You feel the pain and joy of all of reality. You show up as Outrageous Love. You show up as an outrageous lover. You are an irreducibly unique expression of the love intelligence and love beauty that is the initiating and animating Eros of all of reality. You are then moved to act. You are moved to commit outrageous acts of love. Which outrageous acts of love? Those that are an expression of your Unique Self. Who are you? You are a unique self. You are an irreducibly unique expression of the love intelligence and love beauty of all that is that lives in you as you and through you. 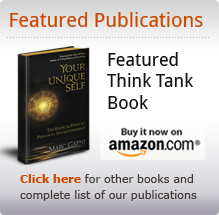 Your Unique Self emerges from your irredudibly unique perspective and your irreducibly unique quality of being. Your Unique Self fosters your unique gift which has the capacity to address a unique need in your unique circle of intimacy and influence that can be addressed by you and you alone. In giving your Unique Gift, You show up. You show up not to heal the whole thing. You cannot do that by yourself. You show up to give your Unique Gifts. You show up to transform the part of the world that is Un-Love that can only be healed and transformed by your love. Without you showing up as your Unique Self, the unique incarnation of love intelligence that lives as you, the unique need in your circle of intimacy and influence could not be addressed. Without your unique insight and creativity, evolution could not progress. You are the personal face of the evolutionary impulse. When you transform your consciousness, when you commit your unique outrageous acts of love, you are directly participating in the evolution of love. When you begin to vibrate at this higher frequency then you both participate in and catalyze the Unique Self symphony. The Unique Self symphony—unique selves all over the world acting independently and yet in unison—has the power to heal and transform our world and ourselves. 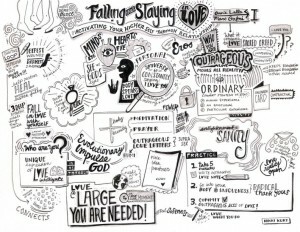 The Outrageous Love manifesto is an ecstatically urgent invitation to Wake Up, Grow Up and Show Up!